The first teaser trailer for E! 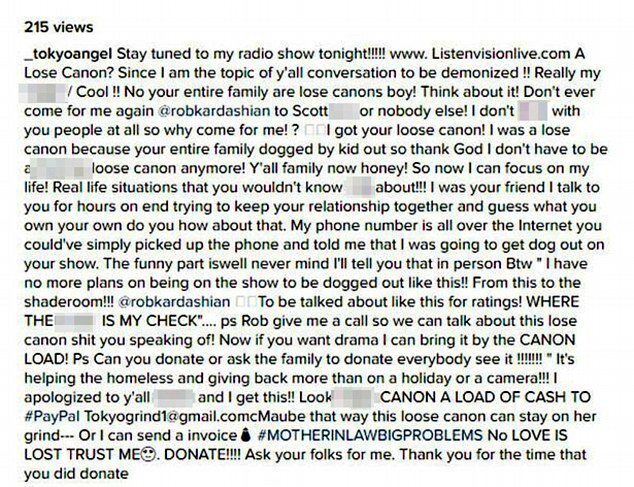 's Rob & Chyna Baby Special debuted Sunday and Blac Chyna's mom Tokyo Toni is livid. 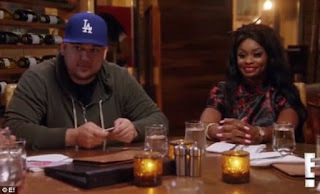 In the clip, Rob Kardashian describes the grandmother of his new daughter Dream as a 'loose cannon' during a conversation with Scott Disick. 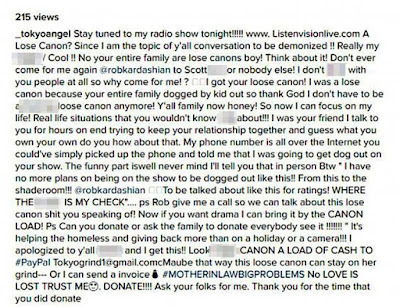 And on Monday his fiancee's 44-year-old mother took to Instagram to post a foul-mouthed rant against Rob and his reality TV family. 'A Lose Canon? Since I am the topic of y’all conversation to be demonized!! Really my n****? (sic),' she wrote.